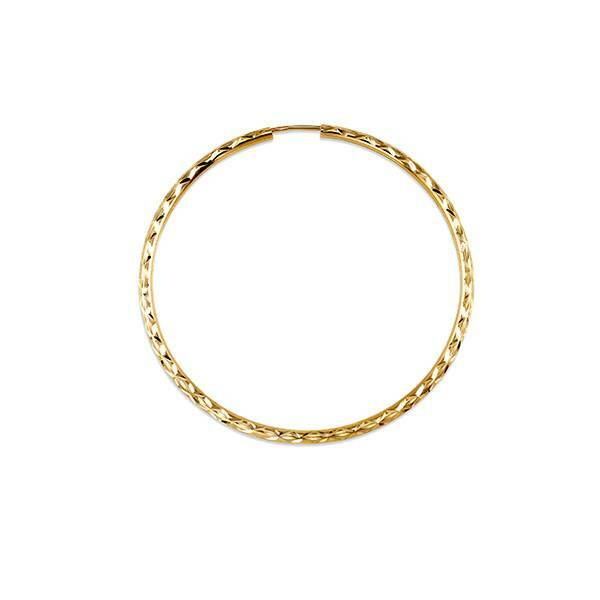 Ladies hoop earrings of classic styling. The hoops measure 4 cm in diameter and are fully tubular in shape. They are comprised of a diamond cut finish.